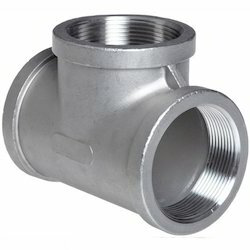 With our in-depth knowledge of this domain, we are actively engaged in offering an excellent quality assortment of Mild Steel Flange Tee. In order to keep pace with never ending demands of the customers, our company is instrumental in presenting excellent quality assortment of Mild Steel Tee. 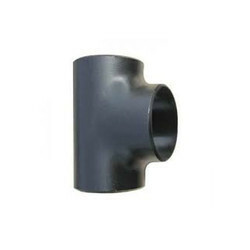 With a firm commitment to quality, we are involved in offering a wide ambit of MS Hydraulic Tee. Our company manufactures and exports a comprehensive range of premium quality MS Tee. Available in different shapes and sizes, these products are fabricated by our skilled engineers keeping in mind the specific needs and requirements of our global clients. Our company also provides the facility of inspection by the clients prior to the delivery of order. We are involved in offering a wide collection of MS Tee to our valuable clients. These tees are widely demanded by the clients due to their durability and easy usage.